We now live in a world where our food has been so weirdly transformed that its cellular state is almost unrecognizable in nature. The farming industry has become more and more like a Jekyll and Hyde experiment to build the biggest monster possible without stopping to consider the after effects. Our soil, and the food that grows out of it, has rapidly caused new mutations and genetic anomalies in our children and youth like we’ve never seen before. Despite all of this going on, there is hope, but we need change, and we need it now. It all begins with changing our idea of a farm being an industrial, mass produced factory that pumps out low quality products, to seeing a farm as a whole organism that must be cared for in its entirety, and viewing it as a developing organism that we must nurture and take pride in. Biodynamic farming is the solution to the state of emergency in the current mainstream agricultural industry. The alternative biodynamic methods have the vision of the whole organism at the core, and demonstrate that we can take back our soils, and regrow our roots the way that nature intended. 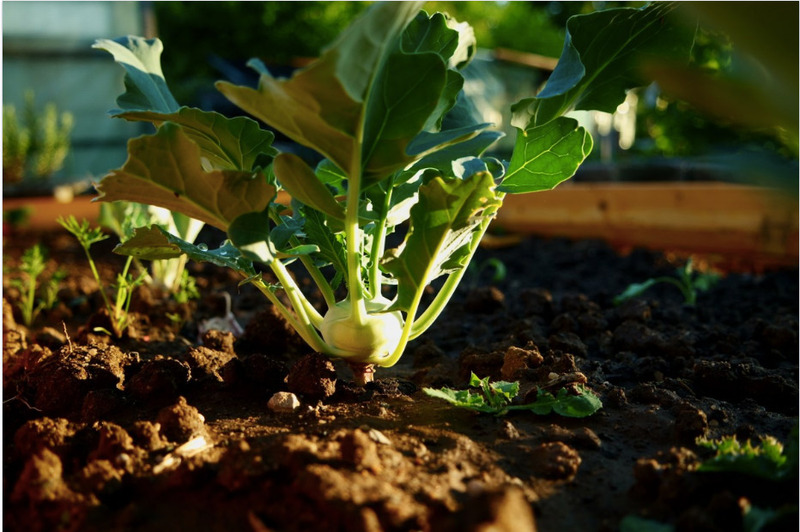 We know that we can grow healthy, nutrient rich food from nutrient rich soil, and that is where we begin. But first, let’s find out more about the ideas behind biodynamic farming in this video by Dr. Mercola, which outlines some of the main principles. Biodynamic farming was first introduced in 1924 by the Austrian scholar, Rudolf Steiner. His philosophy suggests that not only the physical, but also the esoteric aspects of the whole system, need to be cared for to be successful. It’s the ultimate ecological, ethical, and holistic approach to agriculture. 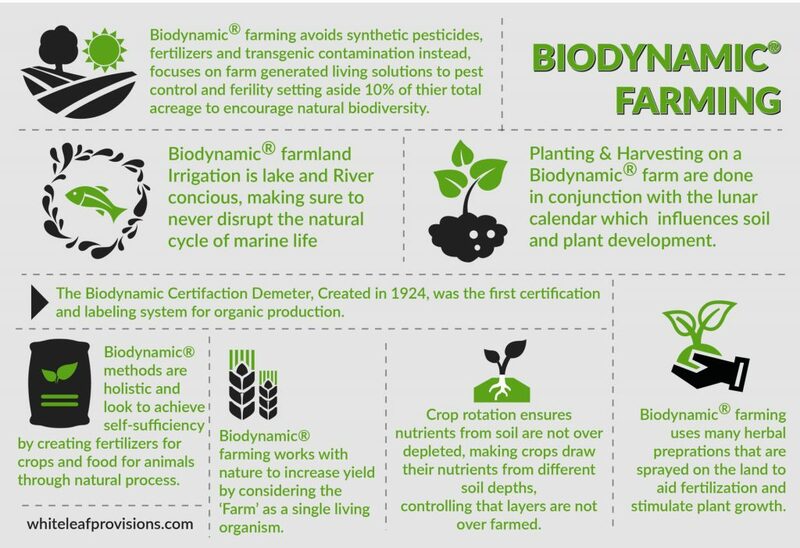 See the below diagram from whiteleafprovisions.com that outlines the main elements of a biodynamic farm. What can you do as an individual grower in your garden? Although organic farming is well understood and embraced throughout most western countries, biodynamic farming is the next level of commitment to a completely nutrient dense, ethical system of food production. You really must begin with your mindset. Do you enjoy gardening? Are you doing it for the right reasons? Do you plant the same produce in the same plot each time? Is 10% of your space completely untouched natural landscape? Do any animals visit your garden daily? If so, what can you do to improve their well being? Are you using organically processed fertilizers from your own system? Do you have any lakes, streams or water bodies in your garden, or nearby? What are you doing to ensure they are healthy? When do you plant your crops? Are your planting times aligned with the lunar calendar? To start the reincarnation process back to a healthy organism that the land once was, we must look to where the first seeds of our little organisms burst open, and begin to lay their roots – underground – in our soils. Indeed, a great first place to start putting your new mindset into practice is with your soils. This snippet from an article by Dr. Mercola sums up the way a conventional, organic and biodynamic farmer would approach an issue with their soil fertility. Horn Manure Spray – Horn manure is prepared by fermenting cow manure in a cow horn underground for 6 months starting in Autumn. Once fermentation is completed, the manure should be sprayed in the garden to stimulate the growth of roots and humus. Horn Silica Spray– This preparation is made of quartz powder that is also buried underground in a cows horn for 6 months during spring and summer. The contents should then be used as a foliar spray to stimulate and regulate growth in the garden. If you begin to see your garden system as a whole and you try to promote a wider array of species within it, you will certainly start to see your crops become more abundant as the flow of love and unity run through them. For more information about biodynamic farming techniques visit the Biodynamic Association’s website.